More than 25 million people died from the virus between 1981 and 2007, making it one of the most destructive pandemics in history. Today, many advances have been made in HIV treatment, there are laws to protect people living with HIV, and we understand much more about the condition. People have been empowered to take charge of their lives and make the changes necessary to live longer and better. This is due not only to scientific and medical advances but also to daily, on-the-ground education and empowerment work that is done country by country, village by village, house by house, and person to person. But people still do not know the facts about how to protect themselves and others from HIV, and stigma and discrimination remain a reality for many people living with HIV. World AIDS Day reminds us that HIV has not gone away and there is still a vital need to raise money, increase awareness, fight prejudice, and improve training and education. New infections with HIV have dropped by half in the past decade in 25 poor and middle-income countries, many of them in Africa, the continent hardest hit by AIDS. Globally, new infections are down 22% from 2001 (when there were 3.2 million) and among newborns, they fell 40%. And at 1.7 million, the number of deaths from AIDS - while still staggering - was also down from a peak of 2.3 million in 2005. But while new infections are down, 2.5 million people still became infected last year and only 1.4 million received lifesaving treatment for the first time. The continuation of new infections and the larger number of people living longer with HIV resulted in the number of people living with HIV rising to a new high of 34 million in 2011. Globally, women comprised 49% of the adults living with HIV in 2011, a proportion that has varied little in the past 15 years. And the burden of HIV on women remains greater in sub-Saharan Africa, where 6 in 10 adults living with HIV in 2011 were women. While the search for a vaccine continues, the advances achieved thus far have been made through preventive efforts that have demonstrated indisputable results. The fight against HIV and AIDS must continue to be fought from all angles: medicinal, societal, scientific, and individual. Humana’s work is based on the principle that, to stop the epidemic, individual action and knowledge must combine with collective action by affected communities. These individual and collective actions must, in turn, complement the work of governments and civic organizations. This work has resulted in the Humana Total Control of the Epidemic (TCE) program reaching 13.8 million people which has, in turn, resulted in a tremendous uptake in medical services, life changes, and greater empowerment. 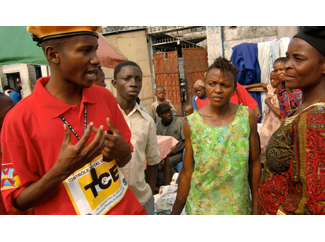 TCE has demonstrated that when communities organize, healthcare provision can combine with individual and community action to deliver real, lasting change for people. An external evaluation of TCE in South Africa showed that an overwhelming 92% of respondents indicated that TCE had made a lasting change in their lives and 91% who were HIV negative felt empowered to avoid infection. 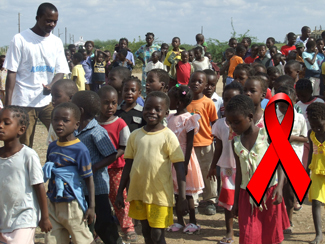 And in Zimbabwe, TCE in just one district referred 25,000 people to a clinic, hospital, or to mobile-based HIV counseling and testing services and increased anti-retroviral therapy use from 300 to 2,000 individuals by the end of three years. The search for a vaccine must continue. But preventive efforts that educate, train, and empower individuals and communities to prevent HIV infection and its devastating effects must also continue and must be expanded. The active and holistic involvement and empowerment of individuals themselves – through an individual/community approach that involves medicine, support, training, and poverty alleviation – has thus far proven to be the only means to truly fight HIV. It will be through these unrepentant, passionate, and concerted efforts that together, we will finally end AIDS. Humana is one of the 35 organizations, together with Medicos Sin Fronteras, Farmamundi or Intervida, among others, have joined the manifesto 'Unidos para acabar con el SIDA'. The aim of this paper is to show together that the time to bet in a definitive way to end HIV / AIDS. So it appeals to the political authorities and government to join forces to jointly tackle the fight against the pandemic. The show is promoted by Salud por Derecho. Download the Manifesto and spread it.